Well what the F?!! It's time for ABC Wednesday again. As I am feeling fed-up, frozen, funky and very full of February I decided instead of doing a F is for Frigid or Frozen or F***ing Cold I would look on the bright side and dredge up some warm memories. So this weeks ABC is F is for Fantasy! As you may have guessed, my fantasy is as far away from here as possible right now and what better than my favorite spot in the British Virgin Islands? This is a view from the plane flying into Tortola, the largest and most populated of the BVI's. As soon as you get off the plane a wonderful warmth pervades your body and suddenly your shoulders drop an inch and everything starts to move at a slightly slower place - just heavenly. From Tortola you take a little boat to the island, Guana Island, a tiny little speck covered in trees and bordered with beautiful beaches. The manager of the only accommodation on the island drives down to meet the boat in a golf cart and takes you up to the lodge at the top of the hill, which, of course has a fabulous view. And from then on the only really hard decision to make is which beach to walk to each day! Actually no, that is not the hardest thing, the hardest thing is having to leave at the end of your trip, that is truly tough! For more ABC Wednesday postings go here! Well I am not quite sure how this happened but we are up to the letter 'E' in ABC Wednesday already. Where does the time go? This week I am going with E is for Exuvia. An exuvia is the shed exoskeleton of an arthropod, arachnid or crustacean. Sometimes it is the adult form that has just grown larger. Like Harriet our Tarantula, this is an old exuvia of hers from about two years ago. When she sheds she flips upside down, splits the back and pulls all her legs out from the old shell, here you can see the openings where her legs were. Crustaceans too will shed as they grow, like our Devil crayfish. This exuvia was soft and the same muddy bluish/gray as the crayfish when it was first shed but after a couple of hours out of the water it hardened and turned to this bright orange colour. Our hermit crabs shed from time to time too although I must be careful not to remove the exuvia because after they have shed it, they have to eat it to reabsorb the calcium. This helps the new exoskeleton to harden properly. Another time an exuvia is produced is when an organism is transforming between life stages. This dragonfly nymph would have lived under water for many months before eventually climbing up a twig or reed, out of the water and emerging into the adult dragonfly form, leaving the nymph exuvia still gripped firmly onto the stem. There is some question as to whether the term relates to the shed skins of reptiles like snakes, it seems to depend who you ask! Certainly it is far less widely used with reference to herps than it is with inverts but strictly speaking I suppose it is not incorrect. What do you think? 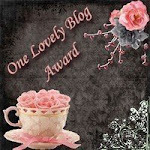 For many great posts on or about the letter 'E' go to ABC Wednesday and travel the blogosphere! Every year over Presidents Day weekend there is a wonderful event called the Great Backyard Bird Count. It is a great nationwide citizen science project that anyone can participate in. You don't have to have a backyard, you can count birds anywhere you like, on the lakefront, in your school yard, in a forest preserve, a national park, a city park or along your street. You can do it once over the course of the four day weekend or as many times as you like as long as you enter each count separately on the GBBC website. I am an ambassador for Cornell for this event so we try to publicise it at the Museum and encourage people to take part in it. Which is great except for one small detail, invariably this weekend ends up being utterly frigid and miserable in Chicago! Slowly things are turning toward spring. So if you live somewhere slightly warmer than me, or even if you don't, you have one more day to get outside and count birds. Check out the website for instructions if you haven't done it before and go out and see what you can find. You might, like me, be pleasantly surprised! Now it is time for me to have a hot bath to remove the chill from my bones! There are some areas of my life that are not particularly great but there is one aspect in which I am truly blessed. The man I am fortunate enough to share my life with is (in my totally unbiased opinion!!) quite simply, the best in the world. It took me a long time and a lot of heartache before I actually found him but now we are together I relish every moment. Sure we fight and fall out from time to time, I am of the opinion that if you spend your life with someone there are always going to be things you disagree about, unless you have no mind at all! It seems fitting on Valentines day to reflect on my lovely husband. He spoils me rotten - for Valentines Day I have three dozen red roses, chocolate strawberries and we went out for a fabulous meal at Les Nomades If you are ever in Chicago and want a very special treat, this is definitely the place to go, it is very romantic. I hope everyone has a very Happy Valentines Day, and a great weekend. We have been having some really bizarre weather lately. Usually we would expect to be frozen solid at this time of year with a reasonable covering of snow on the ground, however yesterday we reached almost sixty degrees and there is virtually no snow or ice left anywhere. Of course living in Chicago, we are realistic enough to realise that this won't last but hey its nice to get one warm day in February! Today we are getting thunder storms and then as the week ends we are supposed to chill back down again. This morning, before the rain arrived I woke up to a rather odd view from my apartment. Are we auditioning for a Stephen King movie or something? Well I feel that I have been very neglectful of my blog of late, all I seem to manage to post is ABC Wednesday and Skywatch Friday but I guess that is the nature of this time of year. I tend to hunker down, work a lot and not do a whole heck of a lot else. 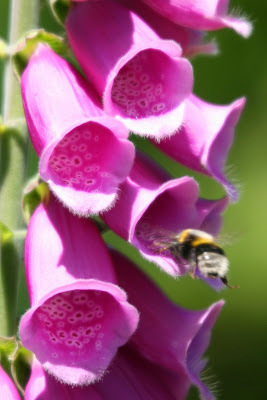 And so to ABC Wednesday, this week we are on to the letter 'D' so I am going to do D is for Digitalis purpurea. Digitalis is the genus more commonly known as Foxglove. There are numerous species but I am going to stick with the one I know, the Common Foxglove. This spectacular flower always reminds me of early summer in Cornwall where they grow everywhere, in the hedges, along footpaths, and of course in my mother's garden. In amongst the wild riot of colour that is my mother's garden in summer it is easy to get lost but this is not the case with the statuesque Digitalis, this spear of dramatic purpley/pink blossoms can grow up to eight feet tall! Last year when we went to visit my parents, it was a particularly good year for Digitalis as you can see from this picture of my husband, out hiking. Extracts from Digitalis, called Digitalin, have long been used to treat heart conditions. Digitalis is a classic example of a drug derived from a plant formerly used by folklorists and herbalists: herbalists have largely abandoned its use because of its narrow therapeutic index and the difficulty of determining the amount of active drug in herbal preparations. Once the usefulness of digitalis in regulating pulse was understood, it was employed for a variety of purposes, including the treatment of epilepsy and other seizure disorders, now considered inappropriate. As a child I could never resist wearing the blossoms on my fingertips but now I am most content to sit and watch a beautiful big bumble-bee work its way systematically through all the blooms, gathering pollen. For many interesting posts about the dastardly, dramatic, dynamic, diabolical, delightful letter 'D', check out ABC Wednesday. It kind of worked for me in an odd way! Because of the angle of the setting sun, the vapour trail of the plane was an amazing shade of orange. Well it made me smile at least! And it was a pretty (if frigid) evening. For Skywatchers the world over, go to the Skywatch Friday site. For ABC Wednesday this week we are on the letter C. So I am going with one of my all time favorite words - C is for Crepuscular. I don't know what it is about this word but I just love the way it rolls off my tongue and the way it sounds! One great example of a crepuscular species is the Short-eared Owl. In North America this owl has evolved to hunt at dawn and dusk in order to avoid competition with large raptors. But like so many of these things, there is an exception to every rule. 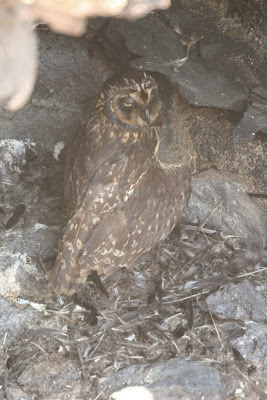 On one island in the Galapagos the Short-eared Owl has no competition from any other aerial predators and has adapted to hunt during the day, ambushing Storm Petrels as they return to their roosts and nesting spots in the lava fields. Another crepuscular species is the Rat. Scabbers (our Museum rat) is actually sitting on my shoulder as I write this post - just to make sure I don't write anything bad about him! The rat does not have good vision either in daylight or darkness so in order to minimise the chances of becoming dinner for a diurnal predator they utilise the narrow window between when the diurnal predator stops hunting and the nocturnal one begins, and visa versa at dawn. 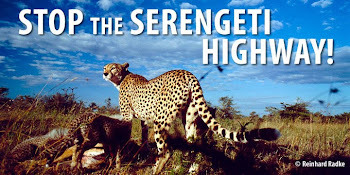 For many species a crepuscular lifestyle is the perfect compromise. If they have not developed the visual acuity to see well in darkness and yet they want to avoid heavy competition for food or alternatively, an increased likelihood of becoming food then this particular niche is an ideal one. For Many other C posts, check out the ABC Wednesday site.